With the General Data Protection Regulation (GDPR) in effect, and Brexit negotiations in full swing, there is tremendous debate about London’s new place in the world economy. However, even in a post-Brexit and GDPR world, London is a resilient city with a 400-year history at the center of trade and finance. In 1998, my company, Interxion,strategically chose central London as the location of its first data center. Twenty years later, we continue to invest in this city with the launch of our third data center, opening in July. So what makes London such an attractive connectivity hub for businesses all over the world? London remains the largest data center market in Europe. Since the city is home to nearly 60,000 technology businesses, a majority of connectivity and cloud providers have deployed here early on. US companies seeking to take advantage of advanced technologies have the perfect opportunity to do so in London: More US companies select London for their EMEA headquarters than any other city. London makes colocation easier for all types of global businesses, with key advantages over other European cities. Not only is London the central point for companies around the world, but English remains the international business language. So communication with US companies is effortless, especially with subsea cables linking the UK to the US. In 2010, the UK government announced the formation of Tech City, an innovation hub with a strong focus on fintech, fashion tech, IoT and countless other tech sectors. Situated around Silicon Roundabout, Tech City has become a superhighway for connectivity. Home to three-quarters of the Fortune 500, London’s Tech City is now the third-largest technology startup cluster in the world. London also aims to become the world’s smartest city by 2020, a goal in which infrastructure and IT service providers play a major role. Smart cities rely on connectivity; it’s the lynchpin that determines the performance of apps powering AI, IoT and Big Data. As such, data centers that provide access to a community of connectivity and cloud providers will play an ever-increasing role in London’s digital economy. The latest Global Financial Centres Index (GFCI) ranked London as the most powerful financial center in the world after New York and Singapore. London is home to a large community of financial service organizations, from high-frequency traders and hedge funds to European banking companies. These businesses, which rely on best in class peering environments, need to be within the closest physical proximity to their business partners. 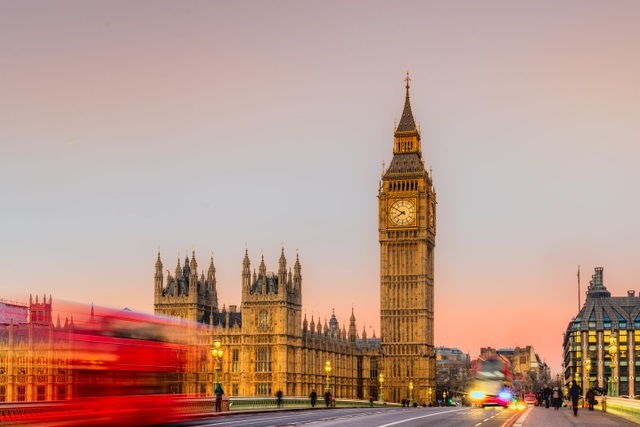 As a result, communities of interest form in colocation facilities that offer dense connectivity options: Interxion’s London data centers are home to over 200 Financial Services organizations. London is one of the most diverse cities in Europe: last year, London was ranked the leading "dynamic city" in Europe by Savills IM Dynamic Cities. If any area sums up London’s diversity, it is East London. East London’s Brick Lane, named in the 15th century for its brick and tile manufacturing, personifies the "colocation" of communities of interest. The location has a rich history, from bricks in the 15th century, to beer in the 16th century, to digital innovation today. From a cultural perspective, Brick Lane has long been home to migrants arriving in the city, starting with the French Huguenots in the 17th century, Irish and Jewish migrants in the 19th century and Bangladeshi communities in the 20th century. The rich mix of different commerce and cultures gives Brick Lane a unique identity. Today, we see this diversity in the wide range of industries situated in East London, from banks using datacenters for trading, to enterprises using "app hubs" as a location for their critical apps. Since we opened our first datacenter in London 20 years ago, the demand for data center services has continued to grow and evolve despite political and economic changes. Even with the upheavals of Brexit and GDPR, the city’s mission critical infrastructure is staying -- a testament to its power as a global connectivity hub. In fact, a recent study by The Institute of Directors found that, out of 700 company directors, nearly half were still confident for prospects their firms’ prospects, despite the UK’s forthcoming exit from the European Union.